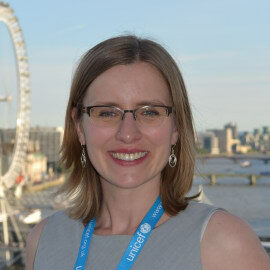 Katherine Crisp is Head of Innovation & Strategy at Unicef UK. This includes charting an organisational path into the future (the strategy bit) and supporting everyone to be ready for it (the innovation bit). Katherine’s previous experience spans the private, public and voluntary sector, having initially qualified and worked as an engineer, before moving into strategy consultancy. She then worked with grassroots organisations in India on sustainable livelihood development, before joining Scope, the disability charity, leading the development and financing of a number of new service models to support disabled children and their families.